One of many volumes commemorating the 800th anniversary of the Fourth Lateran Council (1215), this weighty tome assembles a formidable array of experts. 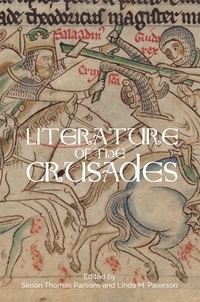 In lieu of an introduction, Enrico Artifoni surveys the historiographical formation of Lateran IV's reputation as the most influential ecumenical council of the medieval period and stresses the need to contextualize the council's surviving canons to appropriately appraise their true impact. Warner Maleczek scrutinizes the motives underlying Innocent III's decision to announce the forthcoming council in Vineam Domini (1213) and to actively solicit advice well in advance of it. He masterfully paints the complex intertwining of various reforming and crusading projects envisaged, the potential movers behind the scenes in the college of cardinals, and the rhetoric, agenda, and surviving versions of Vineam Domini. As Petro Silanos notes, Vineam Domini's call for collaboration should cause scholars to reappraise the influence of the synodal and conciliar traditions of Paris and other regional churches on Lateran IV's decrees on the reform of the clergy, traditionally attributed to Innocent III or his cardinals. Rome influenced the periphery, but the periphery also influenced Rome. 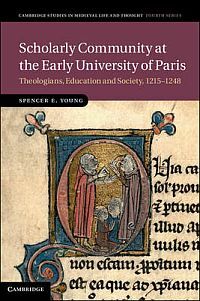 Both he and Nicole Bériou pay homage to the work of John Baldwin in highlighting the influence of the moral theologians of Peter the Chanter's school in Paris on Innocent III. Peter the Chanter and other moralists played important roles in piloting, in their teaching and regional councils and synods held by Stephen Langton and Robert de Courson, many of the provisions either adopted or rejected at Lateran IV. Their stress on the combination of reform, penance, and the crusade influenced Innocent III's appointment of them as legates and preachers of the crusade and his decision to enlarge participation in the crusade. As Étienne Doublier explains, Paris influence also shaped Lateran IV's canons on indulgences (60, 62) which directly addressed the concerns of moralist theologians faced with retroactively justifying the practice of granting indulgences while formulating a new theology of confession and penance and seeking to restrain the excesses of quaestores. The threat posed by heterodoxy was another central concern for Innocent III and Peter the Chanter's circle, shaping the treatment of doctrinal issues in Lateran IV's decrees. 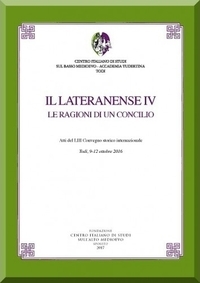 Marco Rainini rightly draws attention to commentaries on the paternoster and creed written by Paris theologians and Innocent III himself as important sources for understanding the additions to and emphases of the new statement of faith promulgated at Lateran IV; all were products of a long polemical battle against various forms of contemporary heresy. Reservations about the theological implications of Joachim of Fiore's figurae of and teachings on the Trinity (formally condemned at the Fourth Lateran) and the long-running dispute with the Greek church over the Filioque clause are contextualized by Maria Rosaria Marchionibus' wide-ranging article on the ways in which Latin Christian artists wrestled with translating doctrinal subtleties into concrete pictorial form in Trinitarian iconography. Riccardo Parmeggiani convincingly argues that the cluster of decrees on heresy and clerical reform reflects the evolution of Innocent III's theories on how best to counteract heresy while maintaining equity throughout his pontificate; the decrees directly reflect the views of Innocent III and not canon lawyers. Marco Meschini similarly emphasizes the complexity and evolution of Innocent III's policy towards the Albigensian crusade (aspects of which were directly debated during Lateran IV) and his attempts to balance the repression of heresy with justice, mercy, peace, and the promotion of a new eastern crusade. The articles by Mauro Ronzani and Paolo Grillo on ecclesiastical liberties and immunity and the diplomatic finessing surrounding the settlement of the contested imperial crown likewise portray Innocent III as a flexible diplomat willing to use a new crusade to help solve political unrest in Germany and Italy while defending ecclesiastical liberty and jurisdiction in a climate of increasing power struggles between bishops and communes or secular lords. In contrast, Giacomo Todeschini highlights a less savory aspect of Innocent III's influence in Lateran IV's canons on the Jews, tellingly sandwiched between other decrees dealing with simony, limits on ecclesiastical institutions taking out loans, usury, and the crusade. Jewish usury and religious rites were depicted as potentially weakening or contaminating a Latin Christendom which must be reformed to earn divine favor for the crusade, resulting in attempts to limit interest-taking by and impose distinctive dress on Jews living within Christendom. Traditionally canons 12 and 13 on the limitation of new monastic orders and the reform of existing religious orders have also been interpreted as a backwards step for a pope otherwise known for fostering innovation through approving the novel forms of religious life of the Humiliati, the reconciled Poor of Lyon, and the mendicant orders. Gert Melville and Guido Cariboni note that canon thirteen's stipulation of holding regular provincial chapters for religious orders was meant to create direct lines of communication between the papacy and every single order and congregation, using the Cistercians as a model. 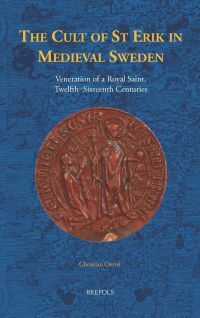 Copies of Vineam Domini were also sent to the heads of religious orders to solicit reform proposals, resulting in a bevy of legislation in provincial councils and monastic chapters held prior to Lateran IV in response to the concerns of religious orders and bishops. These test cases influenced Fourth Lateran's decrees on issues including monastic tithing and the reform of irregular houses through provincial chapters, episcopal visitations, and inquests. The Fourth Lateran is also traditionally depicted as a watershed in the promotion of a firmly sacramentally-based Christianity. 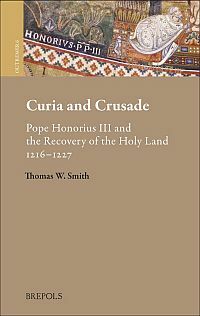 However, Martina Wehrli-Jones once again turns to the influence of Paris on Rome to question whether the well-known decree on annual confession (21) created a novel obligation or simply reaffirmed a pre-existing shift from tariffed to custom penance which had already resulted in an intra-conciliar (1179-1215) boom in pastoral manuals. 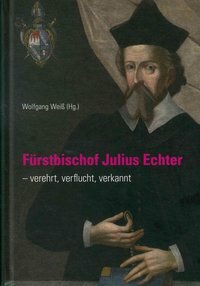 Martina Bollati's article on penitential figurae would seem to confirm the latter interpretation, as she finds ample evidence for the expansion of figurae from aids to memory and loci for contemplation in monastic literature to a didactic function in pastoral texts on the decalogue, credo, paternoster, and virtues and vices in the later twelfth to early thirteenth century. Jochen Johrendt also challenges the traditional depiction of Innocent III imposing his will at the Fourth Lateran, thereby transforming the church from a bishop-centered to papal-centered and hierarchical structure. He draws on the sermons and theological works of Innocent III to examine the pastoral mindset behind Fourth Lateran's stress on the necessity of salvation by means of sacraments mediated by the church. 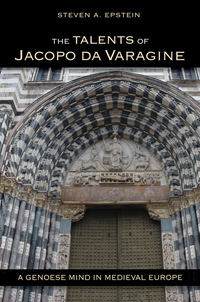 Finally, Marco Bartoli and Agostino Paravicini Bagliani analyze the way in which the rituals surrounding Lateran IV dramatized the ecclesiology and papal primacy promoted by Innocent III. 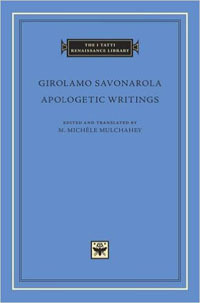 They, as do virtually all the articles in the volume, take care to contextualize the events, liturgy, and decrees of Lateran IV through consideration of the works of contemporary theologians and the treatises and sermons of Innocent III, rather than simply relying on papal letters and the Gesta Innocentii. The result is a much richer and more nuanced portrait of Innocent III and his agenda for the council. This is true too, for Mario Conetti's article on the power of papal dispensation, traditionally linked to the doctrine of papal plenitudo potestatis. For Conetti, the wide range of conditions for which popes could exercise their powers of dispensation (enshrined in the decrees of Fourth Lateran) points to a new area of investigation into the claims made for and practice of papal power in the post-Gregorian period. However, Conetti's article is one of the few in this volume to stress the traditional conception of the canons of Lateran IV as a top-down expression of papal plenitudo potestatis. Most of the other articles testify to a revolutionary turn in the interpretation of Lateran IV's decrees, from that of dictatory set-piece expressions of papal monarchy to that of products of dialogues between center and periphery, petitioner and pope, Rome and Paris. 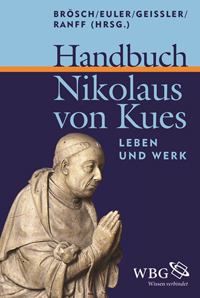 In so doing, the volume not only summarizes extant research on Lateran IV, but suggests new avenues of inquiry into the context and impact of ecclesiastical councils in the Middle Ages.